This guest post is by Joe Nickol, a Principal and Director of Urban Design and Development at the urban growth firm YARD & Company. 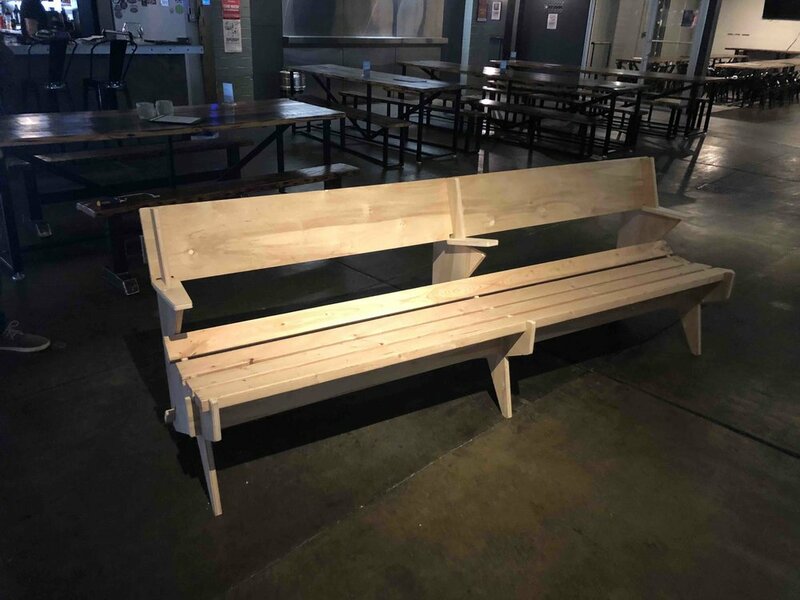 It describes a successful experiment in creating a coworking space at a Cincinnati brewery, in the process helping the neighborhood draw more daytime activity. Two century-old truths about our development patterns have changed. The first is that the lines between where we work and where we live are blurring. Our most vibrant neighborhoods are attracting employers who want to be in walkable, amenity-rich areas, while simultaneously, employees are choosing to live closer to where they work. The second change is the nature of work itself with the advent of the internet. Simply put, we no longer need to be in the same place every day. These twin realities are challenging the very fabric of places once held up as bedroom communities or simple job centers and transforming them into dynamic neighborhoods that actually have their own GDP. While these changes may be disruptive to some, the general dismantling of monocultures is good for our cities. These changes are playing out in real time in Cincinnati’s Westwood, where we are developing an investment plan for the neighborhood’s emerging commercial center. We started our engagement two months ago, asking some simple questions at a community meeting held in an empty storefront. One of the most common themes was that no place existed to go work from during the day and that, partly as a result, the daytime population was not strong enough to support any type of retail scene except sparingly on nights and weekends. This is where our Demand Discovery process kicked in. We asked ourselves how we could test the viability of a workplace this month, instead of on paper in our final report. 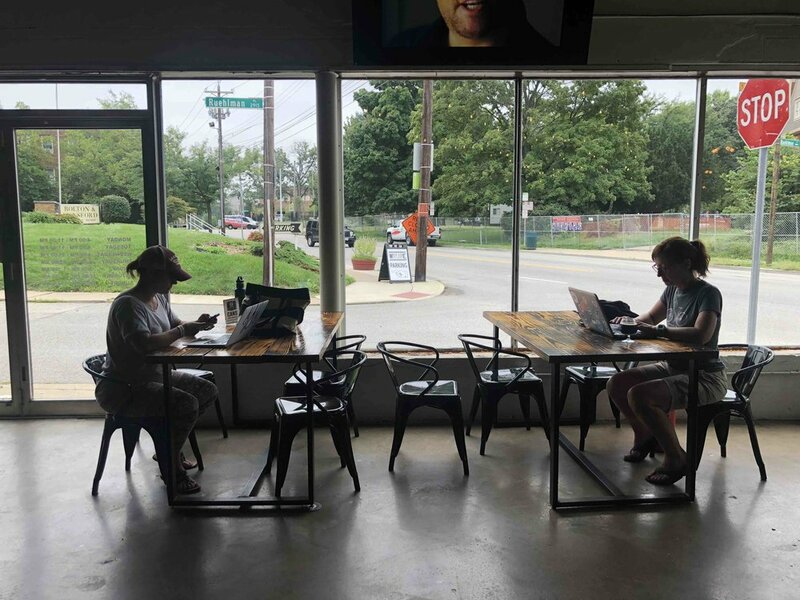 In surveying the neighborhood, we found a willing partner to test a coworking concept in West Side Brewing. West Side Brewing is one of those places that could never justify opening the doors before 4 p.m. to its recently renovated space (they’ve been open since 2016) because of that same lack of daytime population. So we tweaked the hours (8 a.m.); brought in coffee, donuts, etc; trained neighborhood volunteers how to work the till to serve newly offered nitro coffee and snacks; and conducted on- and off-line engagement sessions to broadcast the space’s availability to those just needing a place to work. 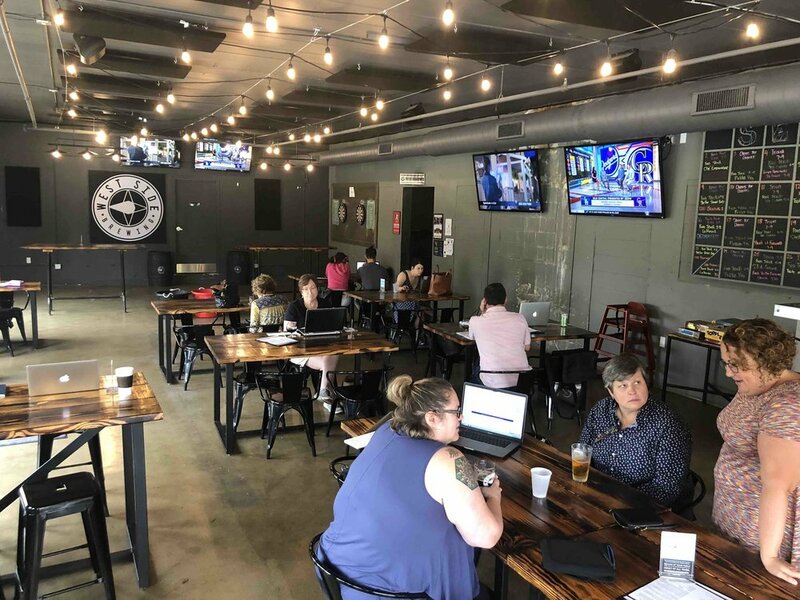 What resulted was twenty to fifty people coming in each day, setting up a mini office on the long taproom tables, holding meetings, using the party space as a conference room, and grabbing food and even more coffee at a nearby cafe, which has amazing sandwiches that keep it open during the day. During this time, we observed how people used the space, asked them what needs they had, and made notes on how the concept could be improved incrementally over time. 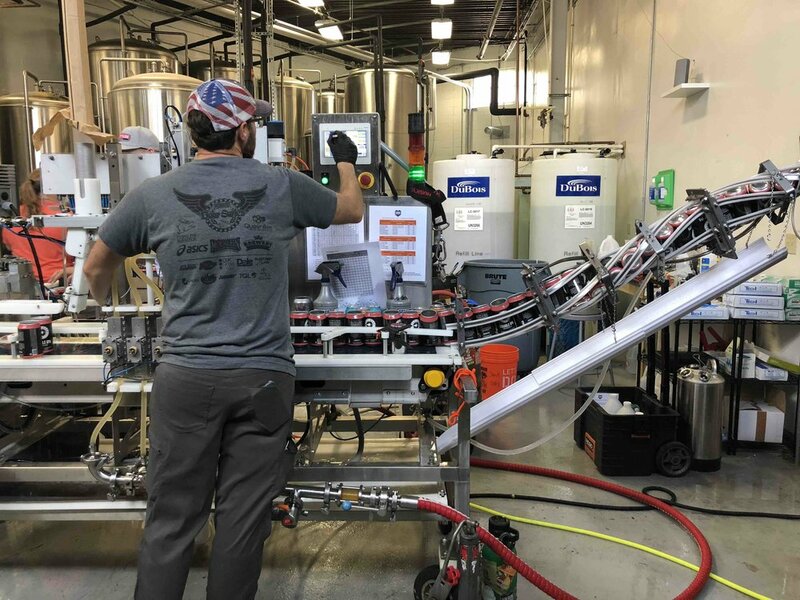 At the end of the week-long pilot, the owner of West Side Brewing had seen enough to keep it going into subsequent weeks, each week continuing to tinker with the model to find what best suited the demand. Find the right space that is most ready to go. This is relative to the context in which you are working. But oftentimes, great spaces are hidden in plain sight; you just have to look. For coworking to be effective, the infrastructure needs to be in place or brought in. Tables, chairs, high-speed Internet, power, restrooms, decent lighting, and some light fare all are essentials. None are overwhelming to activate for the trial, but it is much easier, as was the case in West Side Brewing, if they are already in place. And boring buildings or spaces won’t work. It has to have some life to it. Supportive programming is key to driving traffic. Coworking should offer something different than working at the kitchen table. Find times in the day where unique refreshments are brought in (for example, get a great lunch option brought in on Tuesdays, or a bagel or donut shop to show up on Friday mornings); have a short speaker series; or even sponsor a DJ on a Thursday afternoon. Whatever you choose, you are not trying to overwhelm the people who actually do need to work, but the goal is to provide little opt-in rituals that bring people together. Don’t assume people know about what you are doing. Get the word out. Have a group of friends that you know have flexible work schedules? Target them. Know one or two people who work at home regularly? Get this on their radar. Are there neighborhood retailers that can help make the experience better? Partner with them. Create a Facebook event, target the audience you sense demands this product, and proactively invite them in. 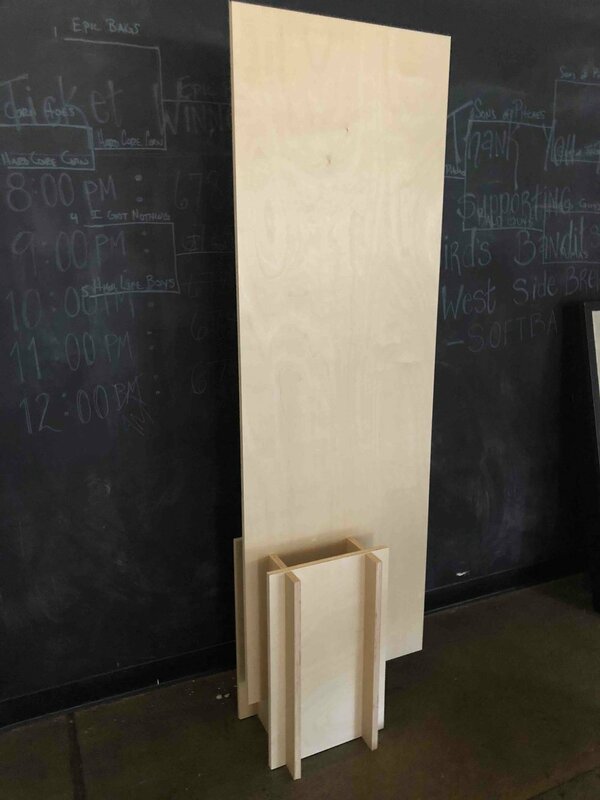 One of the most rewarding tasks for the week was to use the work space to build things that the neighborhood needs. 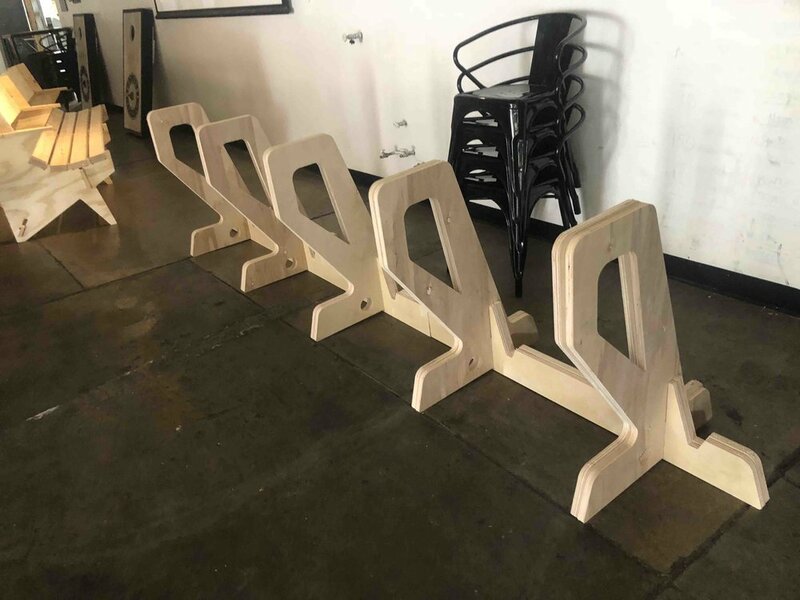 The community had a festival coming up for which they wanted street furniture such as seating, a bike rack, and some signage. Using simple patterns from WikiBlocks, we worked with neighborhood residents to build each of those items in for a day. More places to sit, bike racks, and directional signage all help ensure that whatever success is had in the West Side Works CoWorking space, it can grow into what surrounds it. What do you do with an old freeway in the heart of your city that never should have been built? In Akron, it’s become an experimental pop-up park that is stitching the city back together. Joe Nickol is a Principal and Director of Urban Design and Development at the urban growth firm YARD & Company. YARD & Company uncovers demand for extraordinary places and crafts design & development strategies for shared investment in their future. Learn more about what we are up to at www.buildwithyard.com.